Glacier Park is one of the most beautiful places In The World. It's a small hidden secret at the top of Montana, but one of the most beautiful discoveries and places to see. 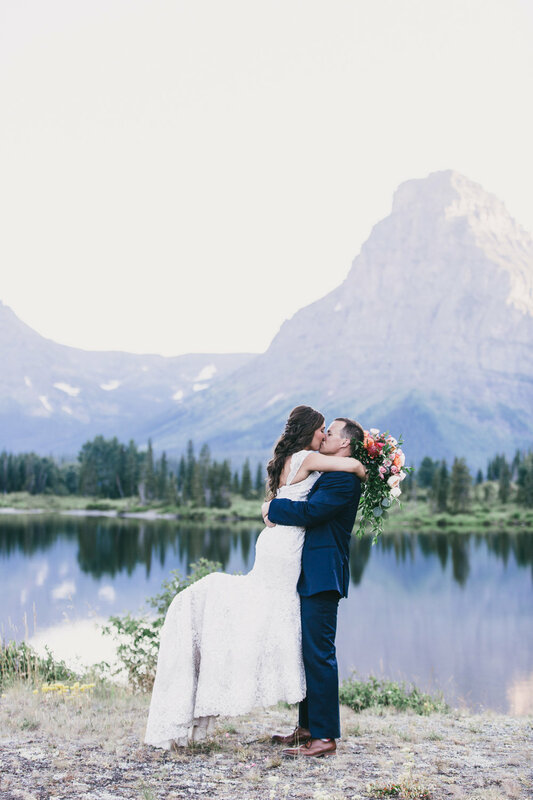 The East side of Glacier Park is called the "Switzerland of America" - it truly will leave you in awe and be one of the most serene, romantic, beautiful experiences of your life. Mid-week: Most vendors have much more availability mid-week, making your elopement more likely to be available for the vendors necessary to be part of your elopement! Though completely do-able on a weekend, you're looking at a significant price increase! We have a beautiful window from early May into June that is absolutely incredibly lush and gorgeous! Keep in mind that due to weather, May/early June is slightly unpredictable in rain, and cold tempuratures (mid 50s) but from years in Montana, I've learned that Montana Summers are just as unpredictable as Montana Spring. The best part is you have the flexibility of vendors before their busy season starts! So re-think Spring in May in Montana! Considered peak season, summer is our most popular time of year when everything is open so it's 99% guaranteed good access to all locations, and warm weather! I personally LOVE SUMMER and I thrive in these months! Generally the Going to the Sun road is fully open and one of the most popular tourist attractions to our area. If you're wanting more guaranteed access, and guaranteed weather, summer is best for you! Don't underestimate fall - it's actually a very prime time for us here in Montana, the change of colors, the warm days, but less tourists while most accesses are still open. The hotels within the park usually start closing in September, but little to worry - there are hotels available immediately outside the West side of Glacier! Usually depending on weather, in October into November is when the Going to the Sun road closes, and accesses to the other areas start closing. If you can get here in the fall - it's a GREAT time! Oh Winter! Have you ever dreamed of your Winter Wonderland Wedding? Not to worry then! Montana is your girl! Even though many of the peak and mountain accesses are closed, in West Glacier there are some amazing prime locations still open, and the very top of our ski hills with incredible views. Better yet, most vendors have Winter Discounts, so it's a great time to take advantage of what's considered the "off season" - your budget can be significantly stretched to make your dream Montana Winter Wonderland Wedding! 1) Flexibility is key!!! Most likely, the end result of the wedding you planned is not the wedding you will receive. Things will change and it will be much easier on you if you accept beforehand that it won't be your Pinterest board. 2) Take the time to enjoy the day and be in the moment! It flies by so take some time to just be with your partner (even for a few minutes) to let it sink in. 3) As a bride, your opinions do matter and it doesn't make you a bridezilla for letting them be known. It does, however, make you a bridezilla if you deliver your opinions in a jerky way. I had some incredible people by my side throughout this process and I don't know what I would have done without them! You know who you are!" 1. 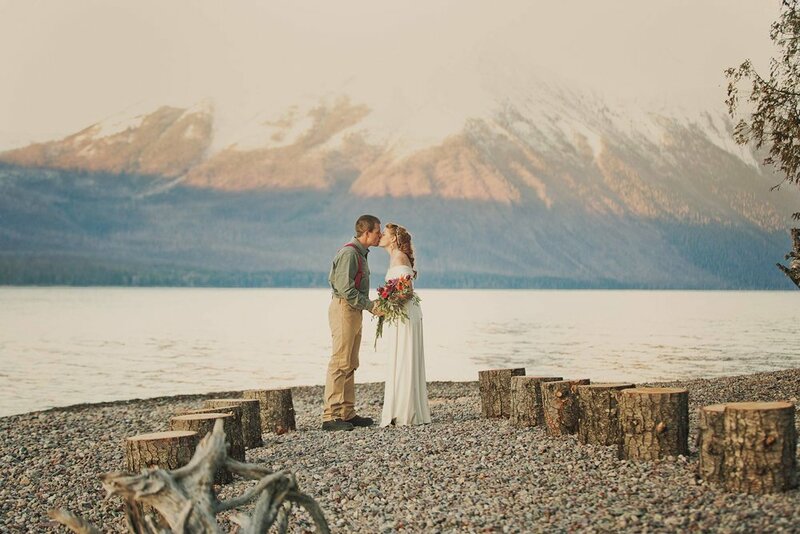 Permits are a key part in eloping in Glacier Park! Anyone can marry you here in Montana - you just need a marriage license! 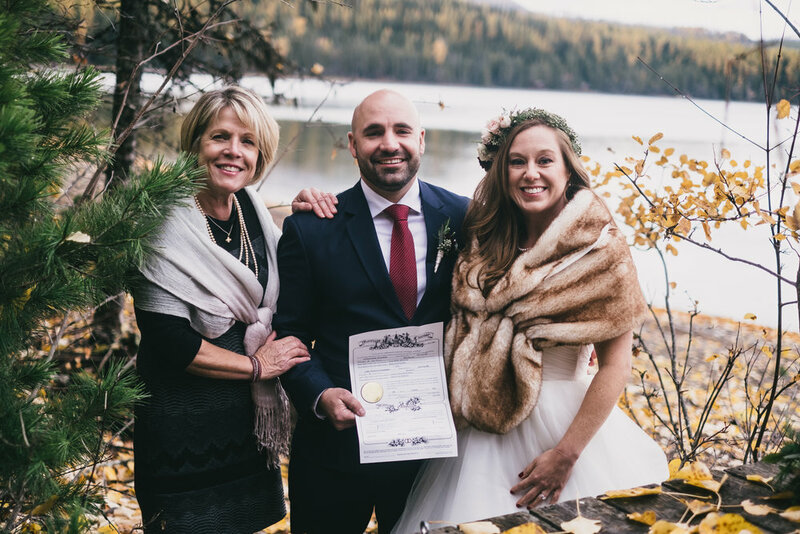 We have a list of recommended officiants below, or you can choose your own! 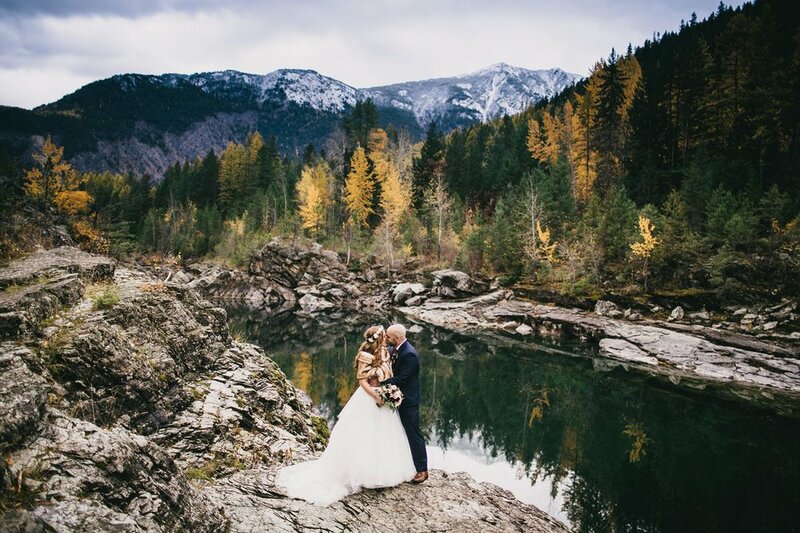 Would you like to book your elopement in Glacier Park with us today?